Hit show ‘Dark Winter’ returns to Hull Truck theatre. Dark Winter – a world premiere. 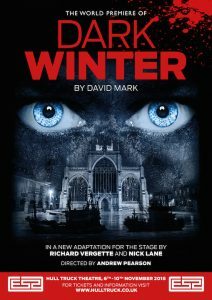 Be the first to comment on "Hit show ‘Dark Winter’ returns to Hull Truck theatre."